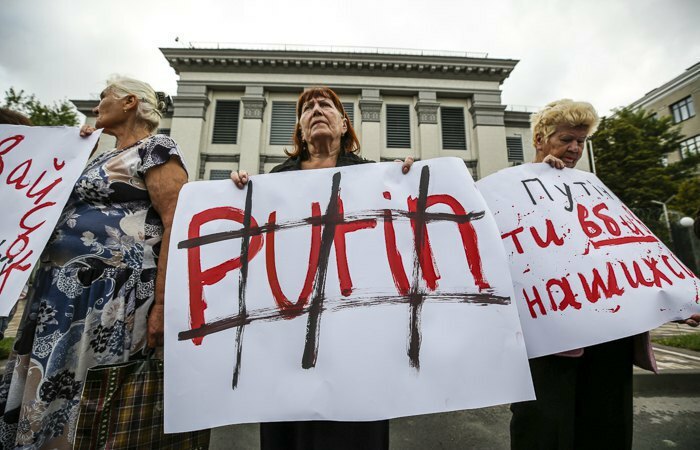 Activists put up crosses showing the victims' photos in front of the Russian embassy. 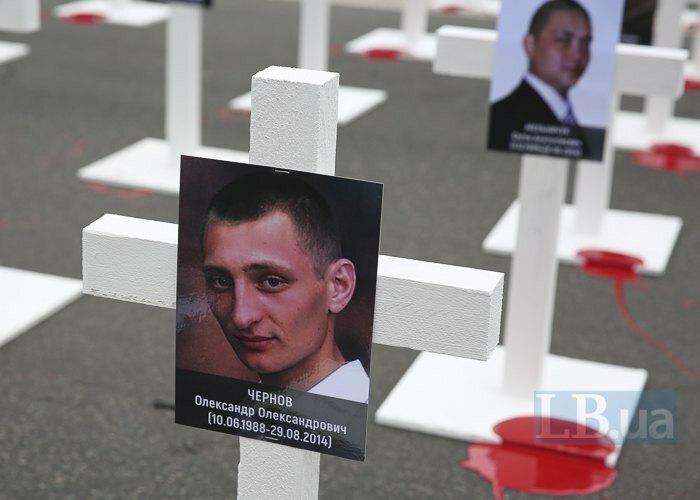 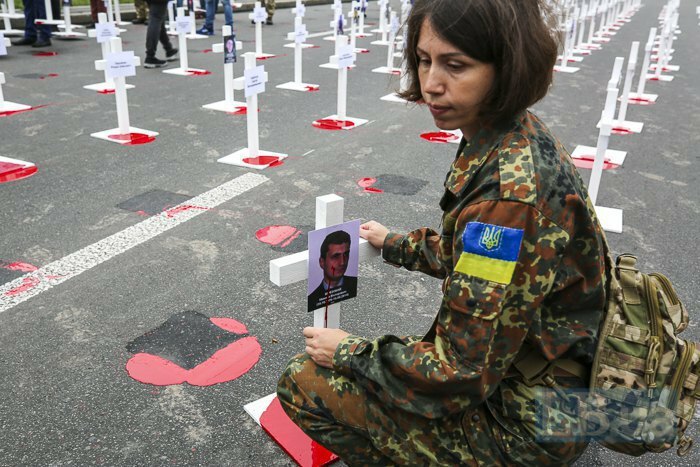 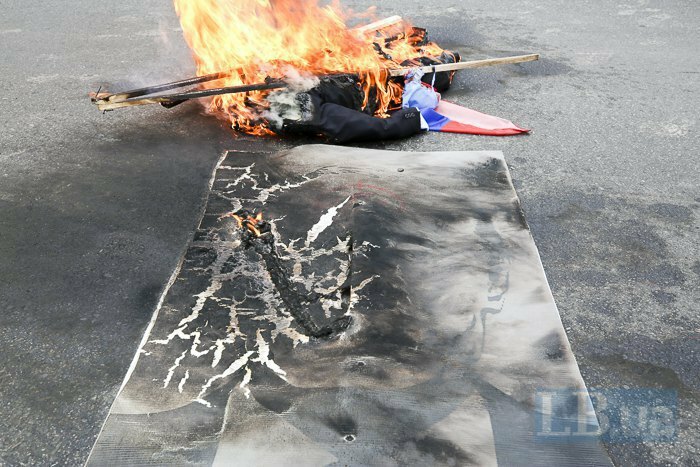 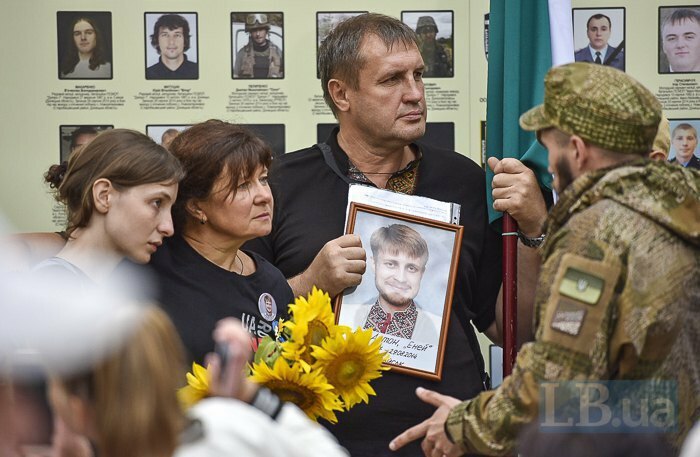 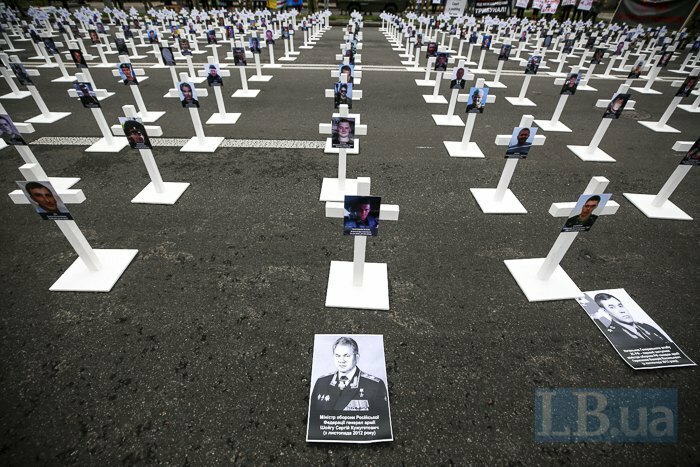 Activists have put up wooden crosses in front of the Russian embassy in tribute for Ukrainian soldiers killed, wounded and missing in the so-called Ilovaysk cauldron in Donbas in 2014. 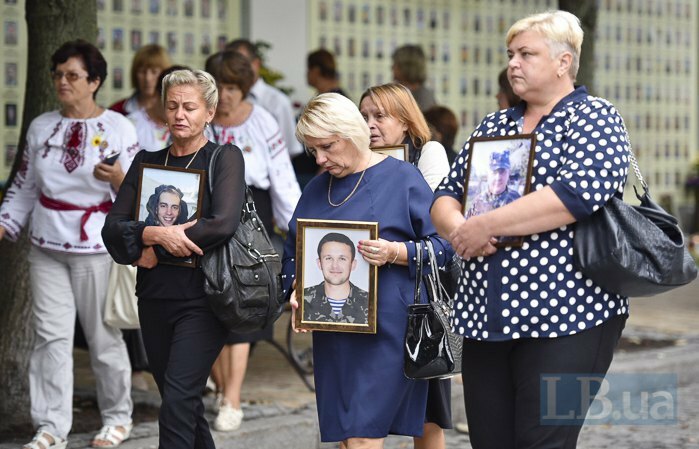 Pinned to the crosses are photos of the killed Ukrainian servicemen. 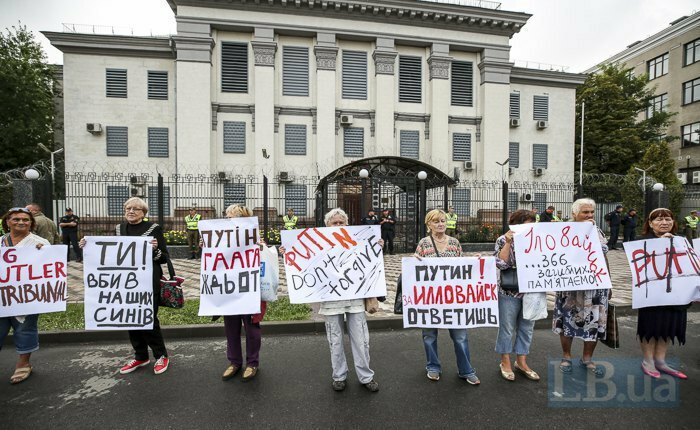 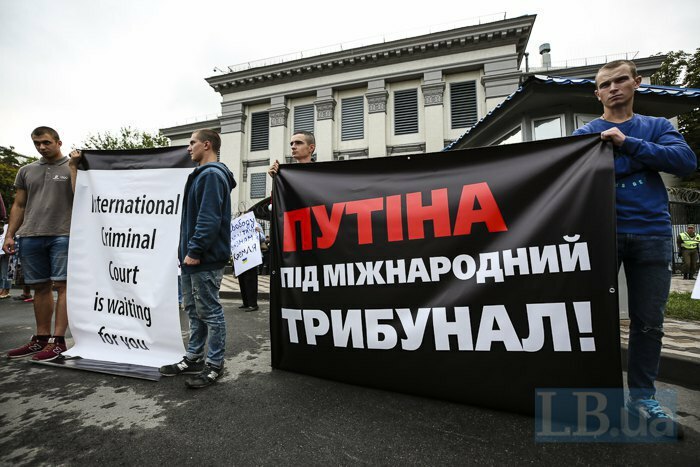 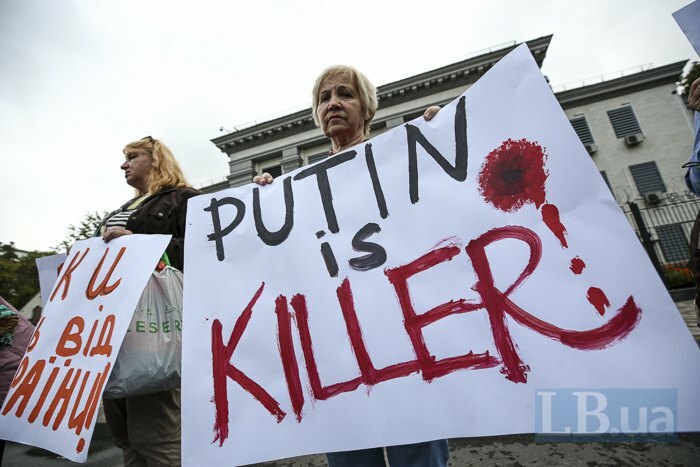 Several dozen people holding Ukrainian flags and banners demanded punishment for those guilty of the Ilovaysk events. 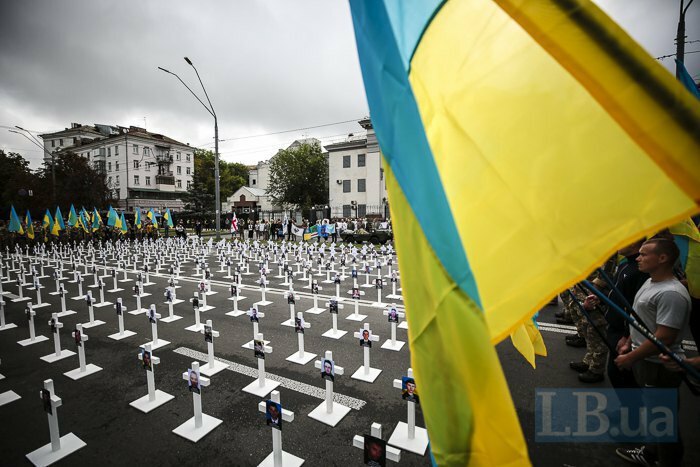 More wakes for the dead are being held in central Kyiv. 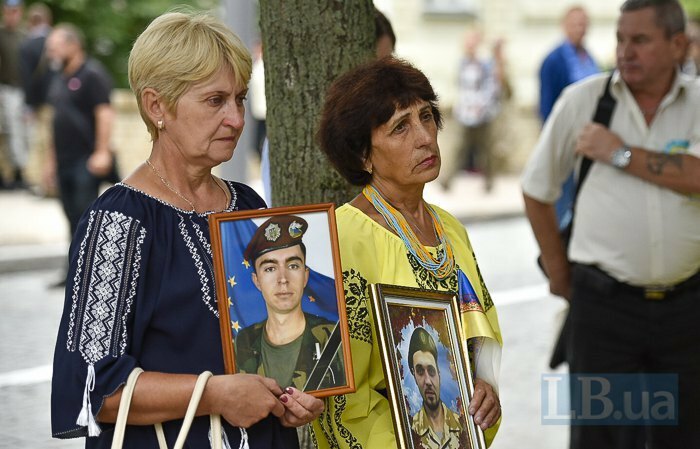 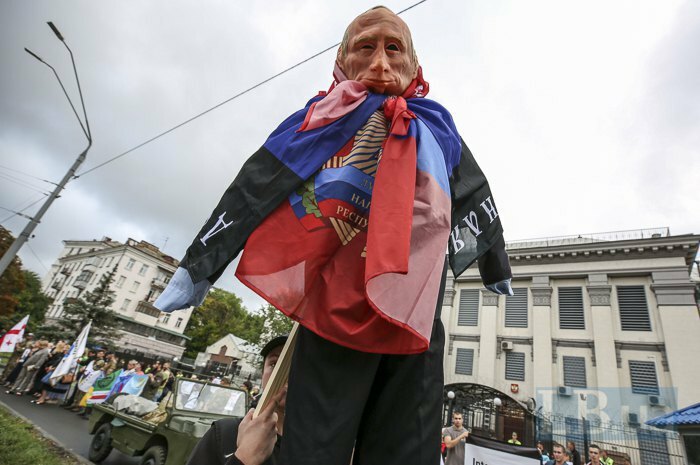 In late August 2014, the Russian armed forces crossed into Ukraine to prevent the defeat of pro-Russian militants as the Ukrainian army was on its way to restore control over Donbas. 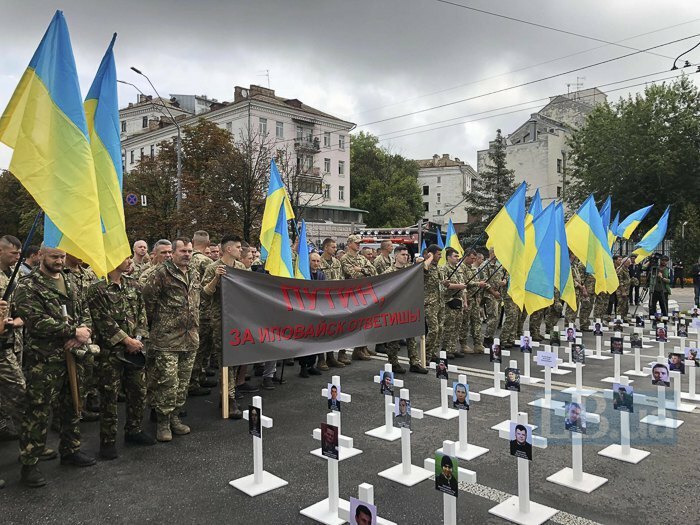 In the early hours of 24 August, nine battalion tactical groups - 3,500 personnel, up to 60 tanks, up to 320 infantry fighting vehicles, up to 60 artillery systems, up to 45 mortars and five antitank systems – illegally crossed the border. 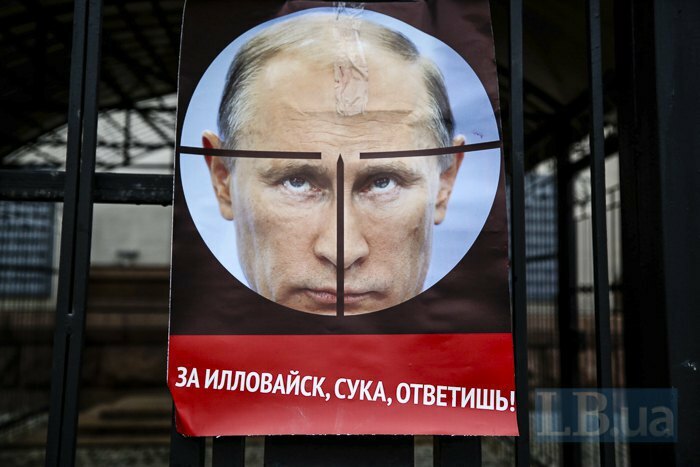 Due to the overwhelming advantage in strength and arms, the Russian troops encircled the Ukrainian Interior Ministry's battalios Dnipro-1, Myrotvorets, Svityaz, Kherson, Ivano-Frankivsk, the National Guard battalion Donbas and the Sector B forces near Ilovaysk. 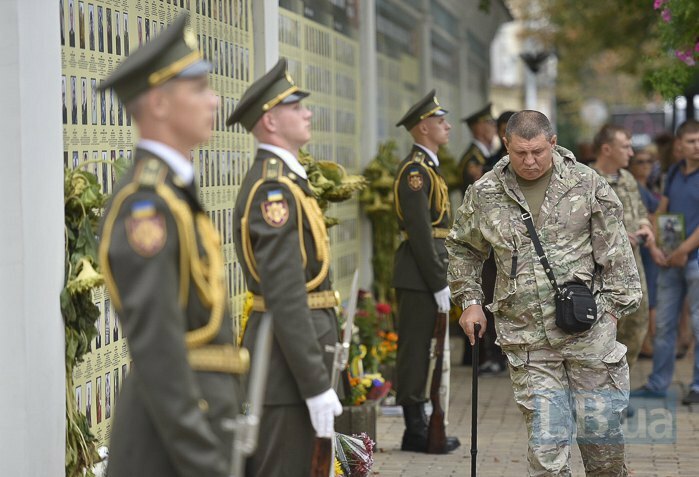 Despite the promise of a "green corridor" which Russia gave following the extensive negotiations with the Ukrainian top brass, the column of Ukrainian troops was shelled point-blank from heavy weapons. 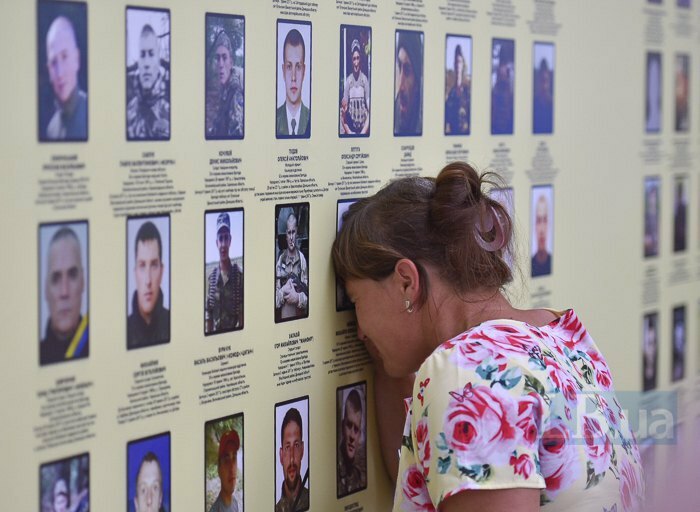 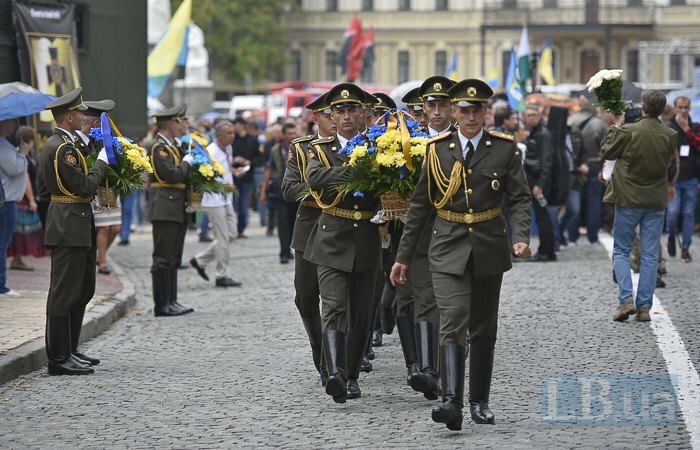 As a result of the treacherous attack, 366 Ukrainian servicemen were killed, 429 were wounded and 300 captured. 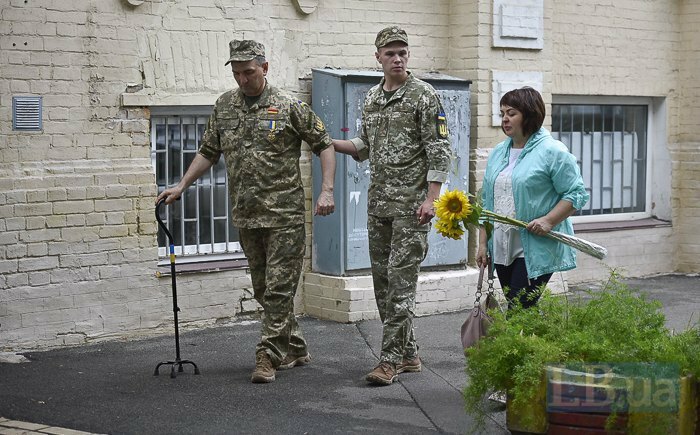 The Ukrainian army lost weapons and hardware worth almost 300m hryvnyas.